A Del Mar city councilman has had enough of politics, a ballot measure is in the works that could limit the size of residential development and more in our weekly roundup of North County news. The San Dieguito High School District is at risk of running out of money. The Board of Trustees last month agreed to plug multimillion-dollar deficits over the next three years by digging deeper into reserves. Those reserves are projected to shrink from about $13 million at the start of this month to less than $2 million on June 30, 2021. The Coast News reported that the board spent little time talking about the district’s financial future at last month’s board meeting, when the budget was approved. Board president Beth Hergescheimer told VOSD that increased retirement contributions mandated by the state put pressure on the budget. While district revenues have generally risen since 2012 to pre-recession levels, San Dieguito’s per-student funding remains below the state average. At the same time, a June staff report cites new hires for special education and more. San Dieguito is among the smallest school districts in the region, serving about 13,000 students in Encinitas, Solana Beach and Del Mar. The district is also, according to the Coast News, home to the highest teacher pay in the county as well as steep administrative salaries. Board trustee John Salazar attributed the district’s worsening finances to salary and benefit raises, including a 12.5 percent increase awarded in 2015 over two school years. For months, he and members of the public have been questioning the district’s commitment to transparency and its willingness to have difficult conversations in public. In May, for instance, the district floated a governance handbook that, among other things, advised trustees to submit questions to staff in advance of public meetings. “We believe in the concept of ‘no surprises,'” it read, according to the Del Mar Times. In defense of that possible provision, board clerk Joyce Dalessandro said asking questions of staff “out of the blue … really puts them on the spot,” the Coast News reported. Dalessandro didn’t return a request for an interview. The board also sparred recently over a proposal to purchase a $4,000 camera and post video of meetings online. It passed, but with two dissenting votes from Hergescheimer and Dalessandro, who questioned the camera’s cost and pointed to meeting minutes and audio available for public review. Dalessandro is facing a potential recall and in May the superintendent unexpectedly resigned. Meetings have been contentious and some local parents have started their own watchdog site. Salazar said the school district’s process is broken. Hergescheimer blamed the public dialogue on individuals who she said don’t understand, or disregard, the protocol of board meetings. There are designated moments throughout board meetings when the podium is open to commentary, and beyond that, she said, the public is there to observe. 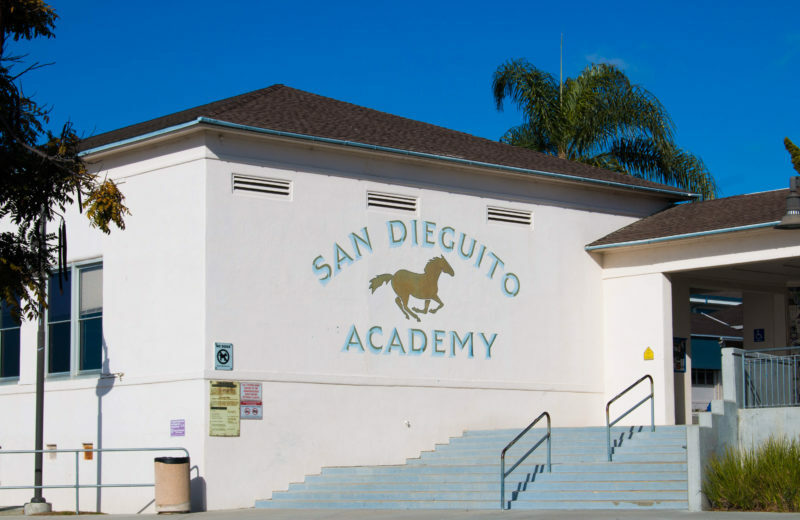 Voice’s Ashly McGlone reported that San Diego Unified High School is also looking at significant gaps between revenue and expenditures, and it’s not immediately clear where the money or the cuts are going to come from. Officials are supposed to present ideas in December. So wrote Del Mar City Councilman Terry Sinnott in an email to his supporters last week. He has decided not to run for re-election, citing a polarized political atmosphere since the November 2016 election. Sinnott, who also chairs SANDAG, expressed frustration to the Del Mar Times over the inability of his community to find common ground on issues like sea level rise and dogs on beaches. As the Coast News pointed out, Sinnott objected to an ordinance that severely restricted short-term vacation rentals in most residential neighborhoods, but the Council disagreed with him. In response, hundreds of residents came to Vergne’s defense and called for the ousting of the city manager who conducted the investigation. In the end, the Council voted 3-2 to extend the city manager’s contract — with a boost in salary and a bonus — according to the Del Mar Times. Sinnott is stepping down as the chair of SANDAG months after state legislation overhauled the agency’s voting structure. The power that smaller cities like Del Mar previously held has been diminished. A wealthy investor is carrying a ballot measure that could limit the size of beachfront residential development. Rick Thompson argues that the initiative will help keep the beach open to everyone, according to the Union-Tribune. Opponents say that’s merely a cover, and his real goal is to restrain the size of a home that’s about to be build on the lot next to his. The Coast News reports, meanwhile, that the Council is debating a ballot measure that would give the city more control over land use and zoning. Pending state legislation, however, could make the entire argument moot.